(L to R) At-large member Gregory McKelvey and son Stokely; Recording Secretary Barbara Joye; Treasurer Speck Kevin Pratt; Chair Erin Parks; at-large member Jeff Corkill; Membership Secretary Lisa Ashway; member at-large Alexander Hernandez. Photo: Reid Freeman Jenkins. 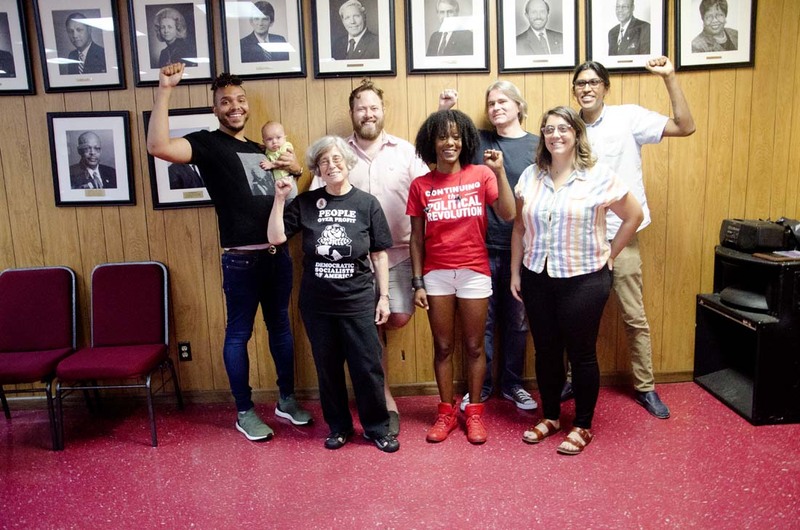 Congratulations to the newly elected Metro Atlanta Democratic Socialists of America officers!